American Veterans Assistance Group (AVAG) is a qualified 501(c)(3) charitable organization providing low and moderate income families with quality, affordable housing since 1997 and now offers help to veterans and their families through it’s Veterans Assistance Program. This is NOT a government program. 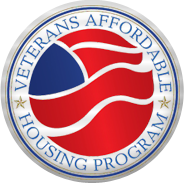 AFFORDABLE HOME PURCHASE PROGRAM - Affordable manufactured housing for veterans and their families. 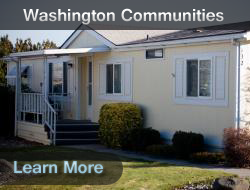 DOWN PAYMENT ASSISTANCE - Qualified veterans will receive down payment assistance grant funds with a minimum down payment to purchase a new or used manufactured home when using ACL and/or Santiago Communities, Inc. financing in any of AVAG’s 32 affiliated manufactured home communities in the western United States. MOVE-IN SUBSIDIES - Qualified veterans will be provided move-in rent subsidy grant funds to lower their rent cost during the first 1-3 years after purchasing their home. 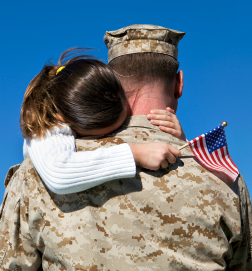 FINANCING OPTIONS – Flexible financing options give qualified veterans the opportunity to purchase a home and re-establish their good credit at the same time. HANDICAP ASSISTANCE – Grant funds are also available to disabled veterans needing handicap wheelchair ramps, wheel chair lifts, handicap access in bathrooms, kitchens and other modifications and improvements for interior and exterior of homes. 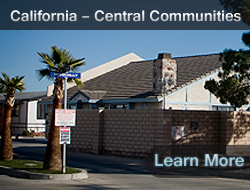 Please browse our site or Contact Us now, and learn how we can help you. Even with credit problems and limited income from social security, the American Veterans Assistance Group Veterans Affordable Housing Program was able to help me. I only had $500 to put down but received $5,000 in down payment assistance and a move-in rent subsidy until I get back on my financial feet. We qualified for the program and given another year or so we will be able to adjust some of our living expenses and pick up some temporary employment to cover the difference. Thank you American Veterans Assistance Group for rescuing us from financial disaster. 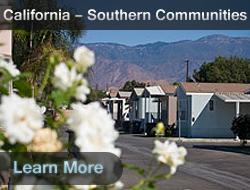 James B. and wife Dorothy are long time residents of Hillside Community, a manufactured home community in San Bernardino, California. This couple, in their mid-seventies, welcome the financial relief in rent subsidy through Affordable Community Living's Veterans Assistance Program. It came at a perfect time for them and was an unexpected benefit for the Korean War veteran and his family. Jim C. and his family have applied for a disability grant which is being reviewed by the grant committee. In the meantime, The Veterans Affordable Housing Project (VAHS) brought some relief to the Cox family with rent reduction. Robert C. served in the Army for two years during the Cold War era. He was drafted into the Army from New York and served the Signal Corps. His wife Ann is undergoing expensive treatment for cancer which has caused financial hardship, and The Veterans Affordable Housing Program brought some relief with rent relief. Paul B. served in the Army in the Korean Conflict from 1954 to 1957. He and his wife have four children and grandchildren. His financial hardship is due to the limits of Social Security and the fact that his health has not enabled him to work. He and his wife are grateful for the rental assistance and found out about it through his Community Manager. 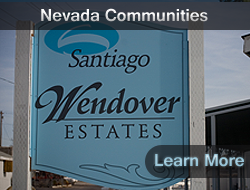 Ed and Elizabeth heard about the rental assistance program offered to veterans and residents of Santiago's Sun Canyon Estates in Palm Springs. The park manager mentioned it to them. Ed filled out the forms and they were quickly approved. "Thanks VAHP. We appreciate it!" James F. served in the US Navy for two years, 1962 to 1964. He applied for rent relief because he is enrolling in a class to gain professional skills. God bless Brian and God bless VAHP for this grant. It's going to make this Christmas (2011) better than I expected. I was desperate. Now I have hope. Mark is active in the military and welcomed the rent reduction offered to veterans and active duty members of the military. This rent relief made our budget work and it came at a time when we needed to pay off some items that go with a growing family. Thank you VAHP! Donald K. served in the Army during the Vietnam Conflict. Because of a back injury he has a part-time care provider. 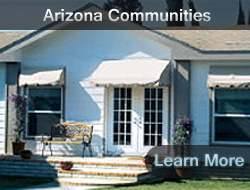 The rent reduction help from VAHP helped make it possible to stay in his Apple Valley home. It's true. Good things happen to bad people – even to this beat-up old Vietnam Veteran! I am so grateful for the down payment subsidy I received from VAHP. It made it possible for us to move in and get settled while I go to school to carve out a new career. Thank you! Thanks for the help," Ed mentioned. 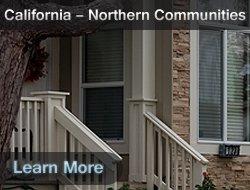 "Without that down payment we would not have been able to move in to this home. I thank God for the opportunity to move in here. When the application was being processed I prayed about it and was surprised how quickly it was approved. Thank you! Because of my disability I was feeling helpless and discouraged about a home purchase. When I applied I was quickly approved. We are so grateful. Raymond served in the Navy for two years as a machinist mate during the Desert Storm era. He and his wife Carol expressed their appreciation for the rent subsidy in a time when they needed some help. Bob's rent subsidy from VAHP not only enables him to stay in personal budget but encourage and help active and recovering servicemen. Ken expressed his sincere appreciation for the down payment assistance and the opportunity for home ownership.